Wow! We are already up to our last day of sneak peeks! I had fun making today's card for a specific family. I've taught both of the children in this family, and they've invited me to a barbecue at their new home. Since their last name is Green (which, of course, is the favorite color of both children), I just had to incorporate little pops of green into my card. 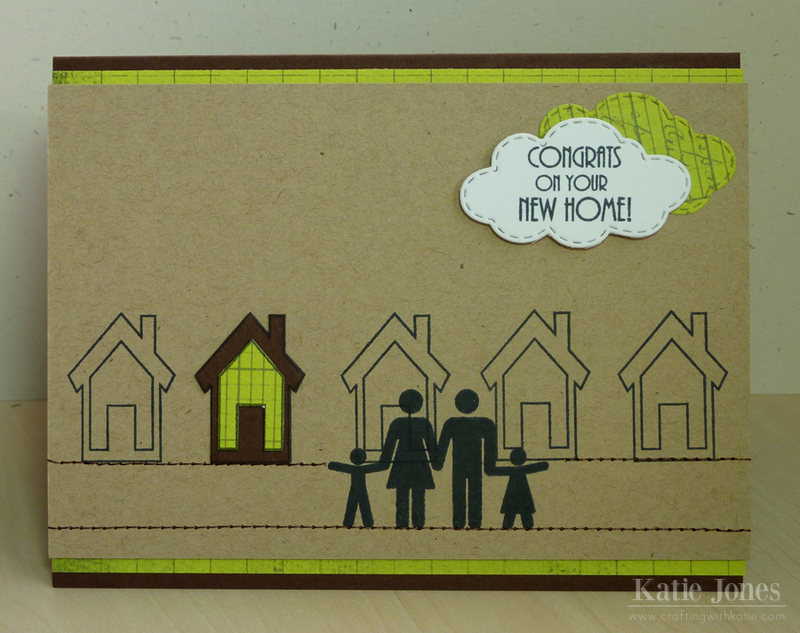 I started by stamping the row of houses from MCT's Home Sewn stamp set onto kraft cardstock. To get them lined up straight, I placed my stamp on my Fiskars' Stamp Press, which gave me grid lines to work with. I then stamped the cute family from the new My Creative Time stamp set, We Are Family, which is being released tomorrow. This set has lots of peeps, so you can create your own family, or use one of the ready-made ones, like I did, since it matches the family that I am giving this to. I then used my sewing machine to sew the "street". 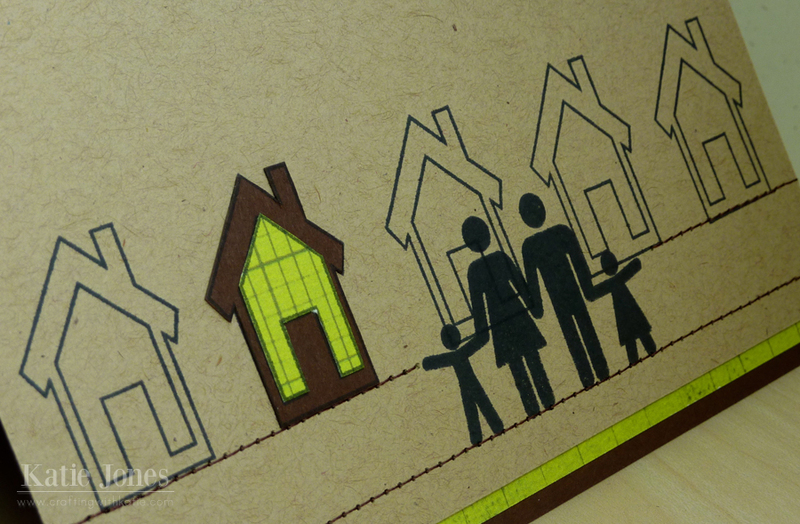 Finally, I stamped another house onto chocolate cardstock and green patterned paper and cut them out to make the Greens' house! For my sentiment, I die cut some clouds using a die from MCT's Fly Away With Me Dies, and then stamped a sentiment from Home Sewn. I think the Greens will enjoy their personalized card! We would like to announce a winner every day, so this is what you have to do to qualify: leave comments on our blogs! You do NOT have to comment on every blog, BUT, if you do, you will just have more chances to win! The thing we are switching up this time is that Emma will be picking a winner each night and announcing the winner the next morning! Example: for Monday's sneak, leave your comments here and share on Facebook, and then Emma will announce Monday's winner on Tuesday morning! That means a winner will be announced every day during sneaks! Log onto your Facebook, and let's start spreading the word! Also, be sure to head over to My Creative Time to see what Emma and some other design team members have for you today! Oh Katie what a great card gosh I love it...I truly love how you used the stamps awesome idea now I have to get the Home Sewn stamp set good job on the splash of color...and sewing...gosh what a card...I am in awe of it and being a scrapper this would be awesome on a LO you are so clever, creative and talented all I can say is WOW WOW!!!!! Love how you added the green accent to personalize it! My brother just got his first home and this would be perfect for him! We are going to have new neighbors soon. Wouldn't this be a great Welcome to the Neighborhood card, too. Really cut new home card...fab design as always!!! You did a great job on this. I love the whole concept & design of it. This is fantastic! 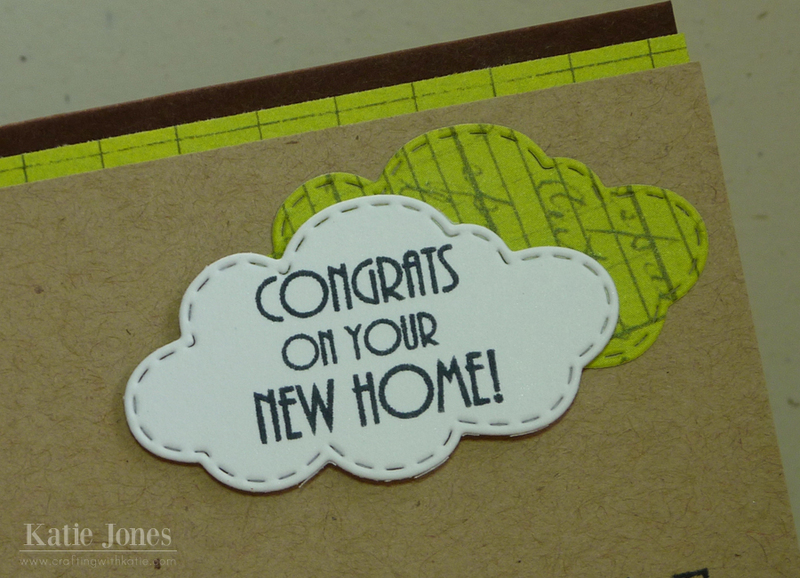 I love that pop of color on the craft cardstock! Great job! What a cute card love the houses and the fun sentiment. Great job. Cute customized card. I'm sure they will appreciate it. TFS! I love this card! So simple but so pretty. Katie this card is great! I have to search for my stamp press in my mess LOL! Thanks for the inspiration!! love how you can use all of Emmas stamps and dies and it all goes together!! too cute! Another great card Katie! love the colors too! This card is so sweet! Love it! Wow Katie, this card is just the cutest thing ever!! Loving how all the stamps and dies coordinate together! OMGosh this is a super cute card! I love the pops of green and love that you put the pops of green in since their last name is Green. lol So cute-this release has been awesome! Soooo very cute. I'm really liking this stamp set. Love that card. The Green family is lucky and will really like their card. What a sweet idea and a great job. How cute--I like how you highlighted the new home. I love the way the house stamp was repeated. 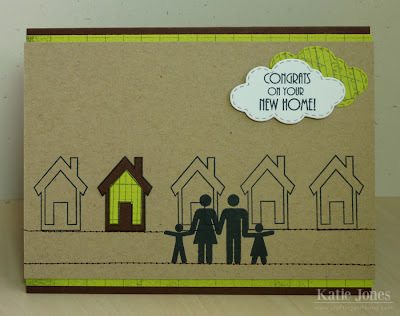 This is a wonderful new home card! Great new home card!! Love it!! Love the color pop and how really homey and warm your card made me feel! The lucky receipient will love it! Love Emma's creativity! So talented all of you are! Katie your card is so cute! And I love this whole release, it is going to be so much fun to play with! You did a wonderful job! Thanks so much for sharing and hope you have an awesome day! Katie ~ I told you on your FB page I think this card is so BRILLIANT! 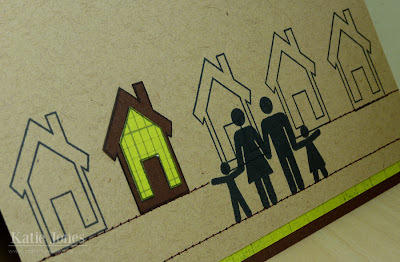 Using the older stamp (house) with the potty peeps, then making the paper piecing the one house ~ I LOVE this look! Then you go and use the pattern paper in green for the cloud ~ I LOVE that idea! Awesome creation as always!